Staying warm at home is a big consideration as the temperature outside drops. Here we share energy saving tips and tricks to keep you snug at home during the colder months. Also see related article here. Hardwood floorboards look nice, but layering up with a rug can keep those drafts at bay and help trap the heat so you spend less on your heating bill. Rugs are a stylish and practical addition to any rooms. Make sure your curtains are working efficiently. When it comes to keeping the heat in during winter it's less important what fabric your curtains are made from, and more important to (1) ensure your windows have quality seals. 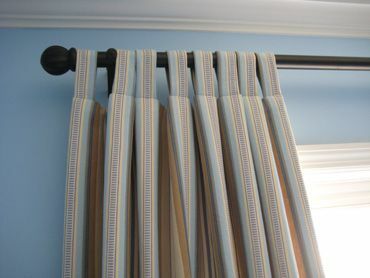 Old-fashioned net curtains, or the more modern voiles, are a cost-effective solution to increase your curtains' efficiency. Make sure the netting/voile is installed close to the windowpane. It'll help stop the downward (cold) currents of air. Heat pumps are one of the most energy efficient electric forms of heating for your home. See our tips for using and keeping your heat pump running efficiently here. Testing shows that using a fan can significantly reduce heat loss. If your heater doesn't have a fan, buy a cheap desk fan. Using it pointed at the heater can improve its energy efficiency - the heater can be set lower, but the room is warmer as the heat circulates better. Handy and cheap, floor snakes can help reduce your heating bill. They help stop drafts and trap the heat in the room you're using. They're usually under $20, or if you can sew go DIY to your heart's content. 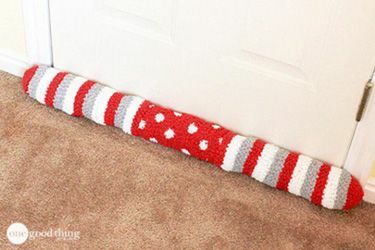 See how to make a simple door sock snake here. Unused fireplaces are a common feature of older homes. Unless your open fireplace is still safe to use, reduce the draft the chimney creates by stuffing up the chimney with old newspaper. Make a hearty winter meal using your oven. Enjoy the bonus passive heat generated to heat your kitchen. There's nothing more satisfying than curling up with a hot water bottle in bed. They're cheap – around $10 each, so they're a great investment. Plus, extend their warmth life with a good-quality cover. For example, these funky NZ made hottie covers by Limited Vintage made from recycled wool blankets. Suited to kids and grown-ups. Or, if you're not a fan of the classic model, try the Cozee electric version for $43.95. Although these will cost more in power than boiling the kettle, these promise to keep you warm for 4 hours. Spend an extra $35 to get the sheepskin cover and they promise warmth for 18 hours. They may not exactly be a fashion statement, but they are warm. Kids love them and you can usually pick them up for under $30. If you're not a fan of onesies, keep things more discrete with winter woollies like woollen socks and merino singlets. They last for ages, merino breathes and won't sweat like synthetic fabrics, and it will keep you toasty. Inject some classic kiwiana back into your life with a sheepskin boot, like these NZ made ones from ecowool. Add some wool socks and your toes will stay toasty no matter how cold it gets outside. Instead of heating your bedroom, heat yourself up before jumping into bed. A hot five-minute shower costs around 33 cents per time, and is a wonderful way to warm up before jumping into bed with your hottie. Use these tips to stay warm and snug over the colder months. Winter should be about wearing your woollies, eating comfort food and snuggling up with your loved ones without worrying about high energy bills.